WZAK honored Jowan as one of their 2019 Future History Makers: people giving back to our community today to shape our tomorrow. Jowan won $1,000 in the Urban League Growth Plan pitch competition last night. She is currently providing programming in five school districts and has a contract with the Lorain Correctional Institution. In collaboration with Rosie George of Edward Jones, Jowan will be increasing the dollar amount of her book scholarships this year. She is also training her first facilitator. Jowan was featured by The Plain Dealer/cleveland.com for her work. She discussed how she beat the odds and worked her way out of poverty and how she’s trying to help other families do the same through Getting Our Babies to College 101. 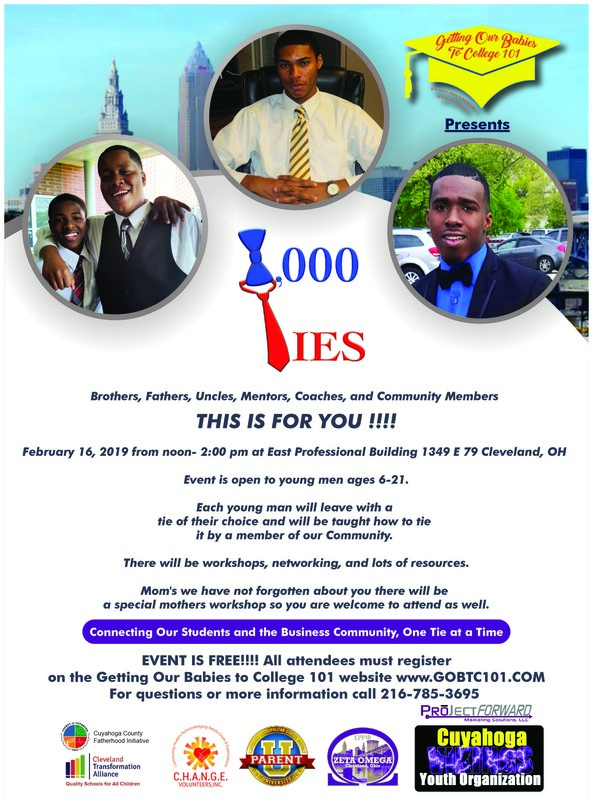 Jowan was highlighted in a The Plain Dealer/cleveland.com piece featuring updates on her Getting Our Babies to College 101 project along with 2017 winner Jeremy Langham (Ironborne Brew Works). Today’s Family magazine featured Jowan’s work in helping families prepare their children for college. “Thinking about sending your kids to college can be stressful, overwhelming, scary, exciting, happy and sad –– all at once sometimes –– but parents can find support, resources and expert advice from Getting Our Babies to College 101. Jowan Smith was selected to speak at WGBH EdForum: Supporting and Engaging Students in the Middle Grades in Boston, MA on September 27, 2017. She will discuss her “Getting Our Babies To College 101” program and share tips on how to help prepare students and parents for the college prep process starting in middle school. Jowan Smith will be on Robyn Hill’s Elevations Radio Mind Healing Conversations this Sunday, September 10 at 6:00 p.m. EST. During the one-hour show, entitled “Jowan Smith: Passion+ Perseverance= Power,” Jowan will discuss her personal story, health, daughter, and development of her business – and 2017 finalist pitch – Getting Our Babies To College 101. Listeners can call in with questions. Elevations Radio will also broadcast the show on Facebook Live. If you miss the show on Sunday, you can visit www.mindhealingconversations.com and watch it later. The program is capped off with a pitch competition where participants have the opportunity to win up to $10,000 to advance their business and ideas. Jowan Smith wants to help parents, particularly those of low-income students, through the stress of getting their children to college by beginning to explore timelines, budgeting and other information in the eighth grade. Her pitch at Accelerate 2017 earned her $2,000 to help launch her project. Since the event, Jowan has launced a website that helps families understand the importance of starting the college process in Eighth grade and to show parents how to navigate their way to as much free money for college as possible. She also was invited by Validity Sports and Enrichment, a local nonprofit that works with youth through sports and mentorship, to speak to parents of student athletes about helping increase their students chance of being scouted in early March 2017. She gave two workshops at Patrick Henry school in April 2017, and at the end of June 2017, she hosted a free workshop for parents and students. She hosted four workshops on August 9, 2017 at the Mayor’s Youth Summit. Jowan has also contracted with three Cleveland Metropolitan School District schools and is in negotiations with Shaker Heights schools. Jowan was on WZAK on August 20, 2017 to spread the word about her work. Learn more about Jowan’s work on her website, and by following Getting our Babies to College 101 on Facebook and Twitter.